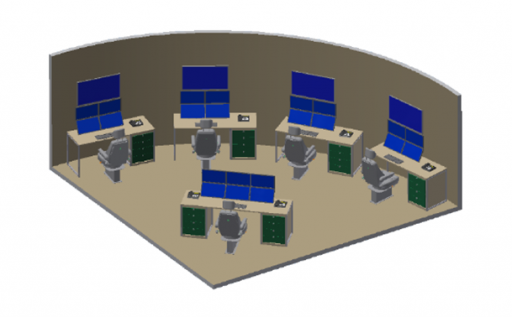 EW-TISS is a software based training solution for the acquisition of operational and analysis skills by operators of radar reconnaissance systems (ELINT-Systems) and systems for communications intelligence. The instructor can predefine platforms (ships, vehicles, aircrafts), emitters and receivers and place them on a geo referenced map. A scenario can be developed by adding all necessary parameters like trajectories and kinematics for the platforms and emission models for the sensors. The software environment calculates the temporal evolution of the signal scenario, the electromagnetic propagation of the signals as well as the received signals of the used ELINT receivers. The signal output is dependent on the emitter behavioral parameters and the operator settings of the ELINT-Systems. The synthetic data are presented to the trainee. The data presentation takes place through the graphical user interface of the sensor accessed by the trainee, which is part of the simulation environment.